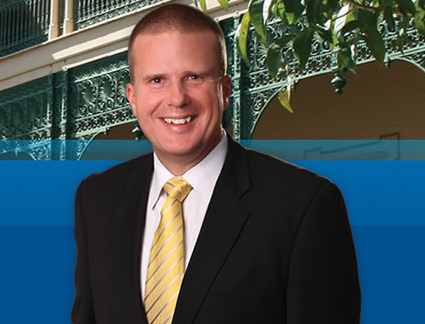 The following is a response provided by Ian Kaye, Member for Greenslopes, provided to us by a local. Email dated July 1 2013. Ian Kaye also attended the public meeting at the college last month. You can add your comments at the bottom of this post. Thank you for your email regarding the proposed sale of one of the Whites Hill State College ovals situated on the corner of Samuel Street and Jade Street Camp Hill. I do apologise for the delay in responding however I wanted to reply to each email personally and due to the number of emails this has taken some time. Whilst the Whites Hill State College is located within the Chatsworth Electorate the oval in question is in the Greenslopes Electorate. 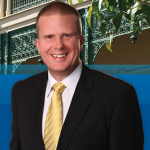 As the local State Member for Greenslopes I am grateful for your views on this proposal. I have already met with the community at a public meeting which was held at the Whites Hill State College on Friday the 14th June 2013. It should be noted that this decision by the Department of Education has not been made lightly. I understand that when offers for the site are evaluated, community benefit will also be assessed. This will allow community groups and other schooling sectors to make an offer for the land and have this offer considered not only on its financial value but also the benefit their ownership would bring to the community. I have already spoken with several such clubs who have expressed interest in this land. Due to the large number of aging schools the maintenance backlog had blown out to $300 million by the time the current government took office. One local Southside school alone has a maintenance backlog in excess of $1 million. Whites Hill State College has a maintenance backlog of $795,000. The monies raised from such sales will go directly back into education to address issues such as the maintenance backlog. Typical planning profile for a new high school is 12Ha to accommodate 1100 student enrolments. The total areas of Whites Hill State College is 16.187 Ha, the portion of the site to be sold is 4.854 Ha (leaving 11.336 Ha). Future expansion of student numbers at the school. Open areas for students and the community to enjoy with an emphasis on physical activity. Evidence that the area is a wildlife corridor and is used by squirrel tailed gliders. Possible development of the site into high density housing i.e. townhouses which will impact traffic in the area. Green space which should be preserved for current and future generations. Interest by local sporting clubs and associations in using the land. As your elected representative it is my job to present your views to the Minister for Education. As such, the information that you have provided will form an important part of my submission to the Minister. If you require any further information or would like to meet with me please contact my office. Unfortunately this is a standard reply, received by many community members. To get an actual individual response people are having to write several times.